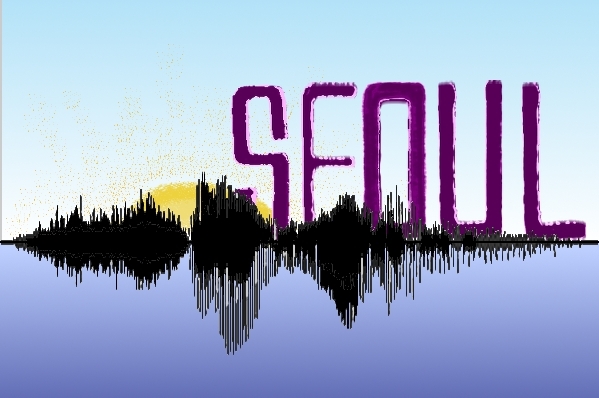 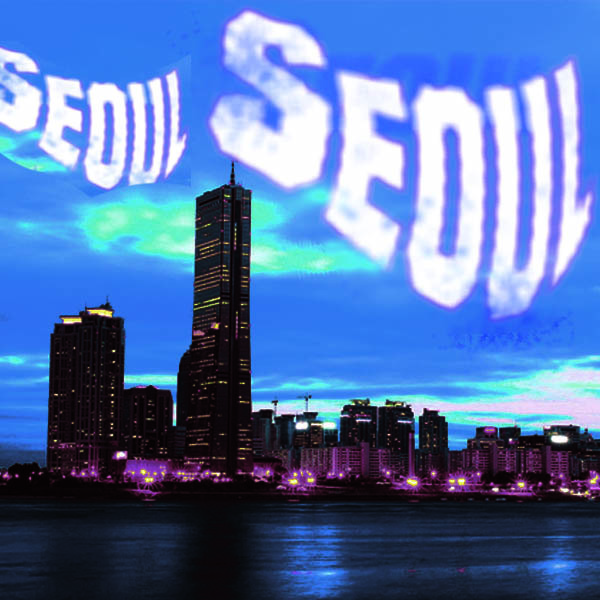 Word ‘Seoul’ with freestyle font, with vibrant blue & red represent vibrant, modern Seoul. 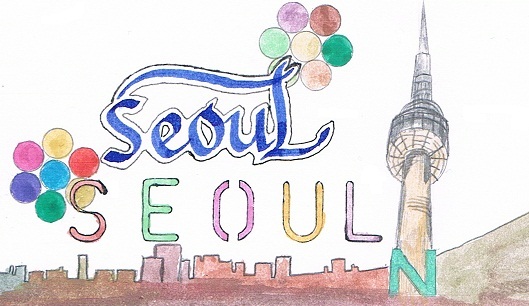 The white dots represent the lights of Seoul city. 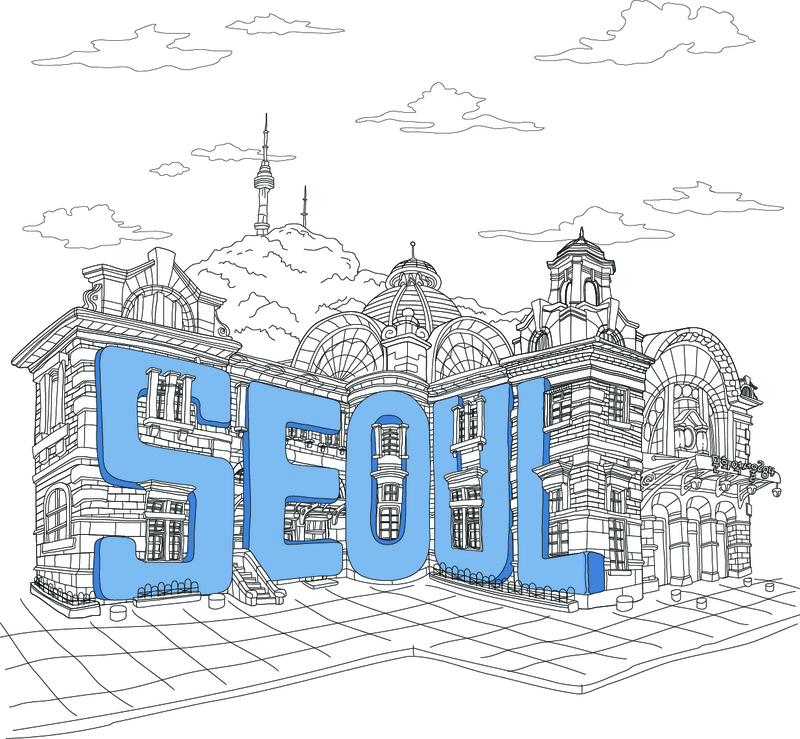 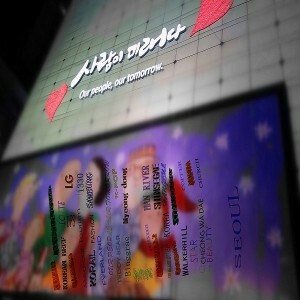 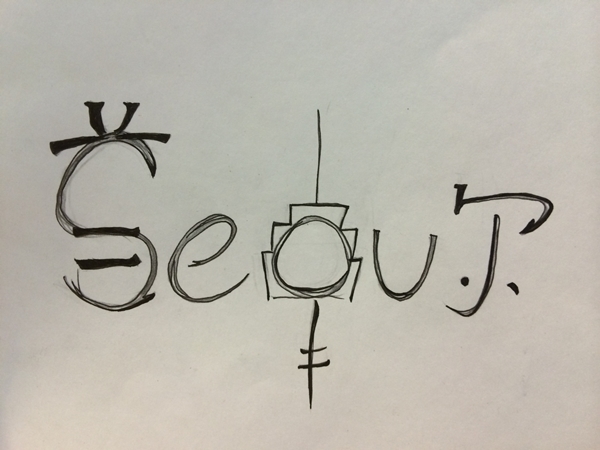 Seoul city as the heart of Korea: Modernizing while preserving traditions & heritages. 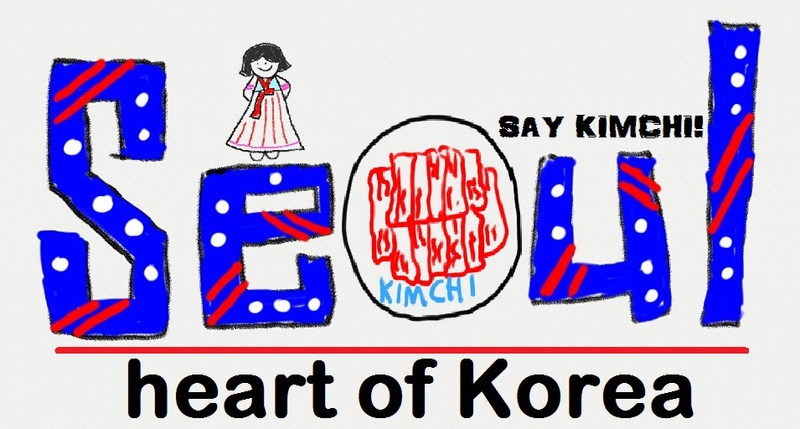 Hanbok & Kimchi are trademarks of Korea. 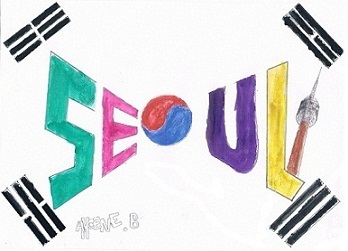 Blue, red, white, and black are colours of Korea. 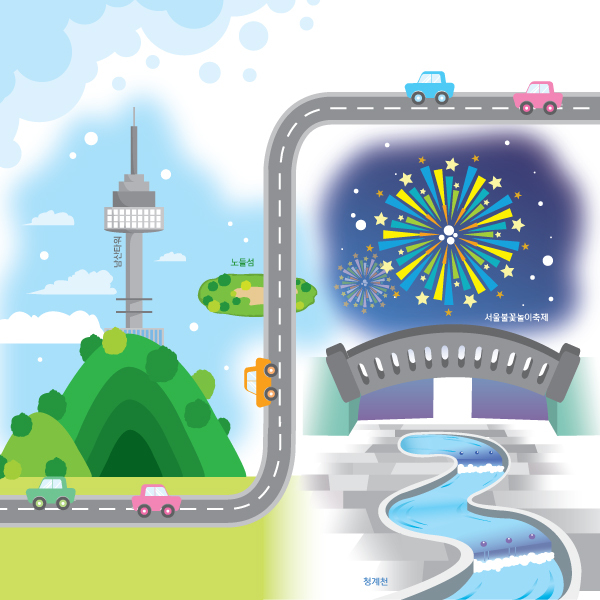 首尔给我留下最深印象的是在东大门看到这个Our people，our tomorrow的标语！很喜欢这句话，给我的感觉是首尔市政府很重视民意的感觉，也记起在SNS上看到首尔市政府有个“市民听”，很有爱的标语。然后加了一些平时韩国的印象的英文，例如，人参，泡菜，韩牛，泰迪熊，宾格瑞，乱打秀等等，组成首尔印象的“字体设计”。虽然做得不专业，但是本人也想借此劣作祝愿首尔市明天会更好，tomorrow will be better!